View More In USB Fans. - Application for Notebook & Desktop. - Convenient cooling solution for "Mobile user”. - VR knob : Adjust fan speed manually. - One-touch retractable USB power cable box. - Directly plug into USB port. Unnecessary additional power supply . Convenient cooling solution for "Mobile user". VR knob : Adjust fan speed manually. One-touch retractable USB power cable box. Directly plug into USB port. Unnecessary additional power supply. 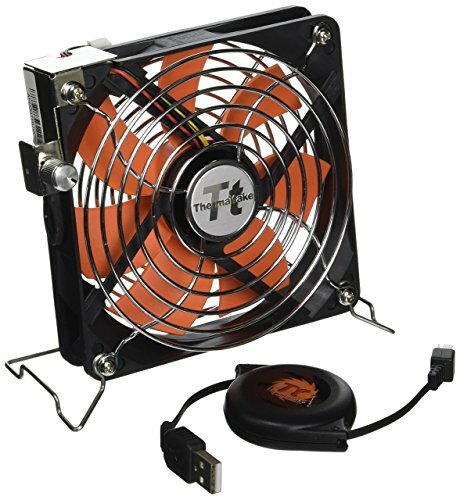 If you have any questions about this product by Thermaltake, contact us by completing and submitting the form below. If you are looking for a specif part number, please include it with your message.